The Car Key Company comprises a number of independent Vehicle Locksmiths and Car Key Engineers across the UK. The main purpose of a vehicle locksmith is to attend to matters related to your vehicle keys. Our main area of work is producing replacement keys for your vehicle; cutting them and programming them. Professional, courteous,knowledgeable and available!This is the Car Key Company. Where do you need Car Key Services? Welcome to the Car Key Company section for Land Rover. We decided to make a clear statement about the type of vehicle we can deal with. Many times, people will call us and ask, "Do you do Land Rover keys?" So, you can probably tell by the design of this web page, we are able to deal with Land Rover keys. However this is not a hard and fast rule, there are always exceptions and Land Rover keys are no different. In the vast majority of cases, our vehicle locksmith or car key engineers (call them what you like - just call them!) are able to assist with key problems related to Land Rover. 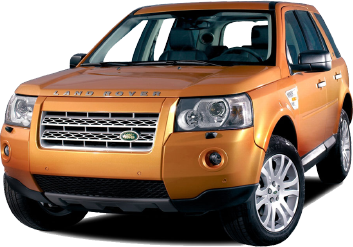 There are various reasons why people may need to make use of our Land Rover car key services. You may have snapped the key in your lock, or even worse in the ignition. You may have lost your key or even had it stolen. These are the times when you need to act quickly to prevent not only the loss of your keys, but also prevent the loss of your car! You may have other questions which we haven't answered here. There are lots of situations where you may have a problem with you Land Rover keys. If you want to have a no obligation chat with us about your Land Rover car keys, simply type the location or first part of the post code in the top right hand of the page in order to find out the closest vehicle locksmith (or car key engineer) to you. Our service is always professional, and always knowledgeable. If you like, send us an SMS, also at the top right of the page, and we'll call you back as soon as we can. The SMS will be sent to your closest engineer.